This is a small project that has been worked on over the past few weeks as a submission for the "Search for a Star" competition. 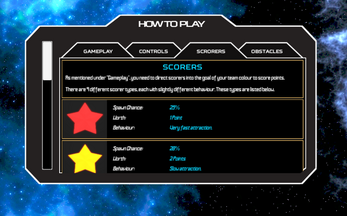 The game premise is simple; get the scorers (star-shaped collectibles) into the goal of your colour. Don't fall off the edge and have fun blasting your opponent (as well as the very things you're supposed to collect) off the edge. It truly is satisfying. In a time when you're lacking in company, take on the Time Attack gamemode to claim some high scores! 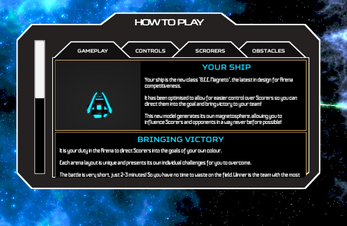 You control a ship with its own megnetosphere which interacts with fallen stars. 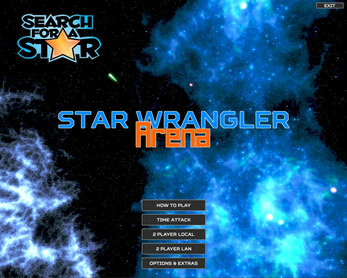 In this arena-based game, you need to control the stars so they fall into your goal to score points. In the mean time, you need to concern yourself over the obstacles that lie between your group of stars and the goal. If those stars fall off the edge, they're gone forever! Let's not forget that your ship is equipped with a spherical blaster, which sends stars (and potential opponent) flying at a speed much faster than they'd want to be going...a truly satisfying thing to watch. Each game lasts just over 2 minutes. Stars stop spawning after exactly 2 minutes, but the game continues until all stars have been scored or destroyed. Fallen stars don't live for long, only about 20 seconds. So if you're having trouble with a final star, just remember; it'll die soon. 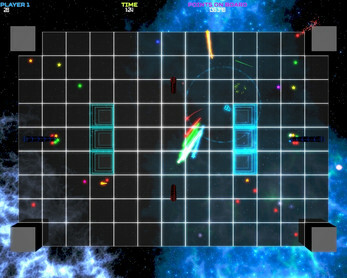 Time Attack - Challenge one of the 14 maps to show it who's boss and claim the high score. Plenty of replayability to be had in this mode. 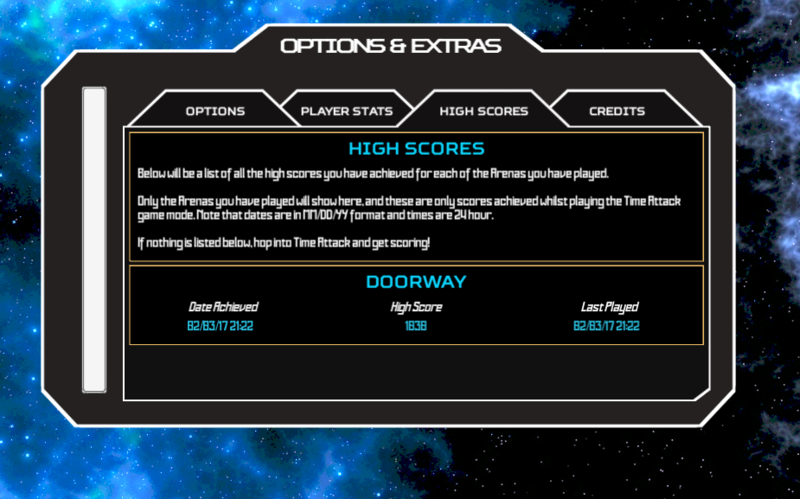 Your high scores for each map are also tracked and saved locally, and can be easily accessed via the Main Menu. 2 Player Local - Challenge a friend (or just yourself) in this 2 player show-down. Both using the same keyboard on the same machine. 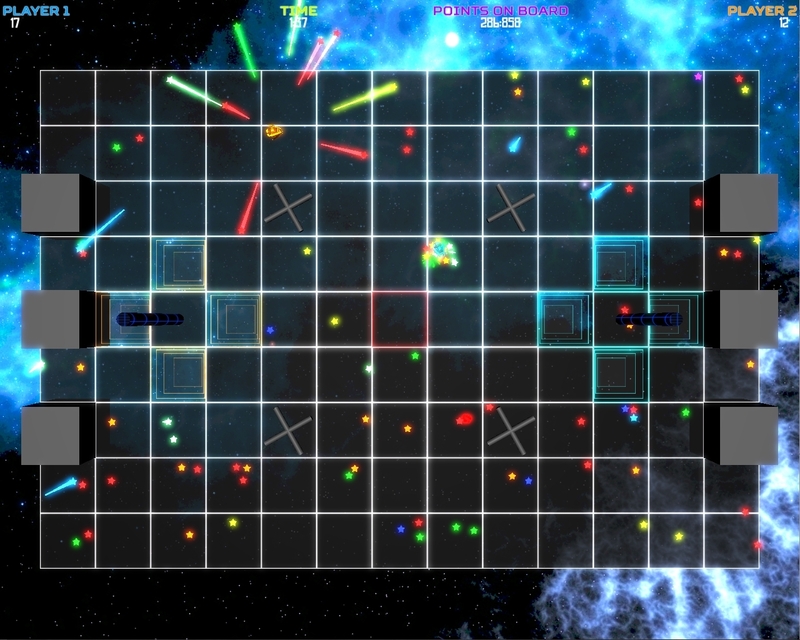 It's like multiplayer, but with no latency! 2 Player LAN - Don't like sharing your keyboard? Don't want your friend or family member's grubby fingers on those arrow keys? Fair enough. Challenge them via your home network! Simply host and get them to enter in the host's local IP and voila! You now have host privileges. You can also use Himatchi to play with those not sharing the same network, if you so desire. There are 9 different types of stars, each with their own slightly different behaviour. 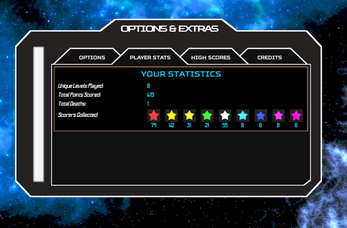 The more difficult stars are worth more points. 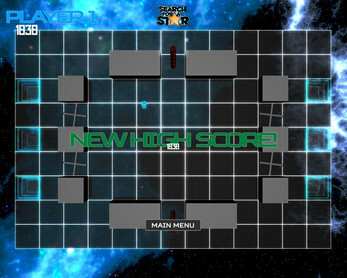 As mentioned before, you score by getting the star to fall into your goal. It's not quite that simple though. 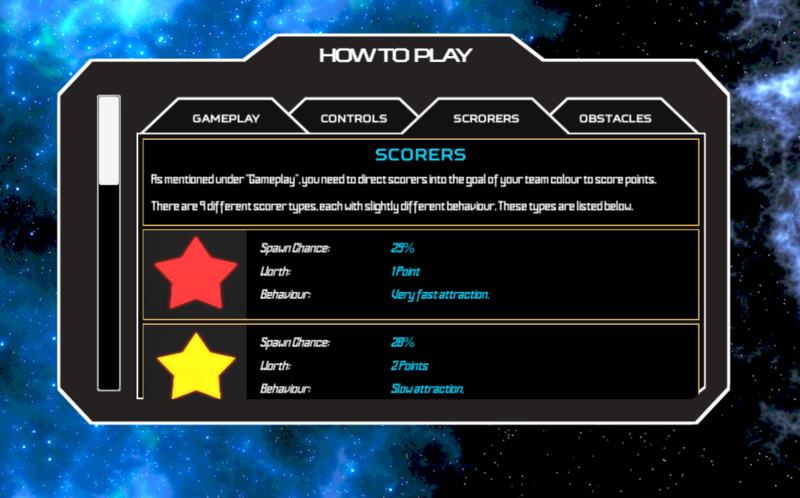 There are three "layers" to the goal, and for each layer the star falls through, you get an additional set of points. However, the first layer is slightly below the floor, so if a star falls at a sharp angle and at high speed, it'll miss the layer and no points for you! 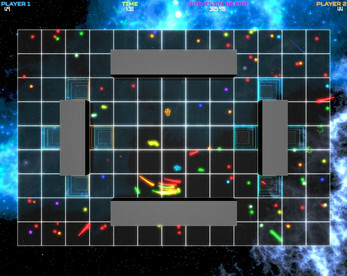 The obstacles can also be a bit of a nightmare. There are a handful of them, generally just there to cause you grief. We have things that bounce you high above the arena, pulls or pushes you just because it finds it fun, or bounces you laterally across the arena, because why not? 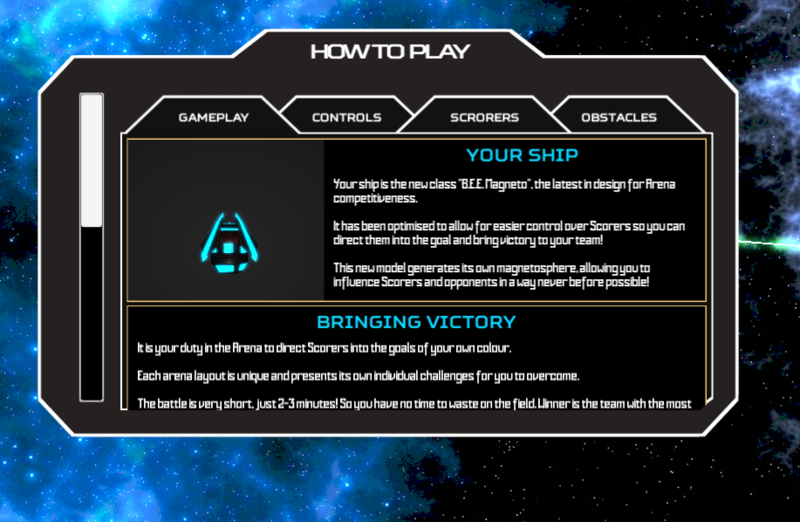 If this is too much information, fear not, it's all on the Main Menu under the "How To Play" section! Your total amount of points scored since your first game. How many of each fallen star type you have collected. Thank you very much for your time reading this, or simply just by visiting this page! 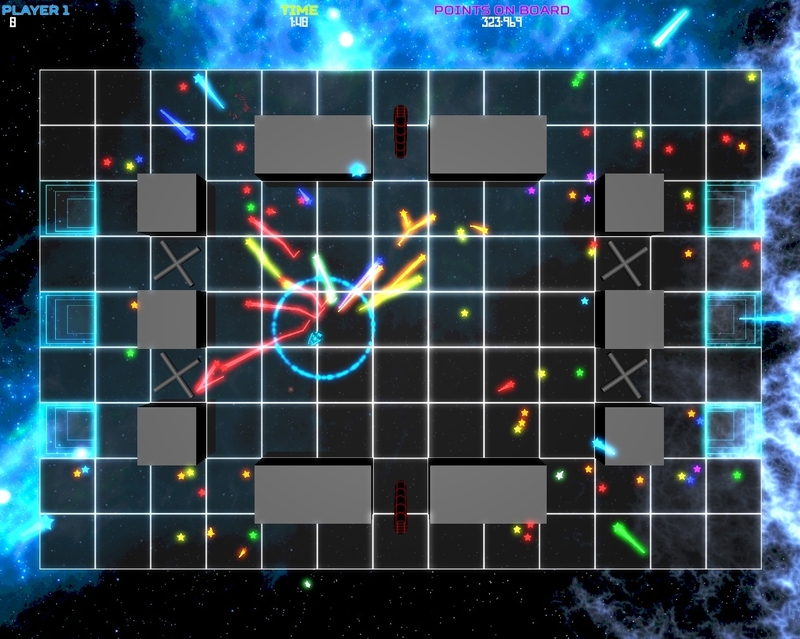 I really hope you enjoy the game; it's simple and satisfying! If you have any feedback or found any issues with the game, please feel free to leave a comment and I'll get right on it.